Protect the Rights of Migrant Domestic Workers in Israel! We, civil society organizations across Asia, working to promote the rights of migrant workers, wish to express our profound concern over a new bill, recently passed in the Knesset, which severely infringes upon the basic rights of migrant workers employed as domestic care-givers in Israel. According to the bill, the Minister of Interior now has the power to bind migrant care-givers to a set number of employers they may change, to a specific geographic location within Israel in which they may work, and to sub-categories of employment within the care-giving sector itself. These severe measures will result in the violation of the most basic rights of migrant workers in Israel, and they must be overturned. This legislation enhances the dependence of migrant care-givers on their employers for their legal status, thereby limiting their ability to escape from abusive situations and illegal working conditions. It mainly targets women, who are the majority of migrant care-givers in Israel. It should be recalled that Israel’s own Supreme Court harshly criticized the binding arrangement of migrant workers to their employers, calling it, in 2006, “a type of modern slavery” which infringes upon a wide range of protected human rights. The contribution of migrant care-givers to Israeli economy and society is enormous. They care for a vulnerable and dependant population – Israel’s elderly and disabled – while having to separate with their own families. They work tirelessly in the most difficult conditions one can imagine. 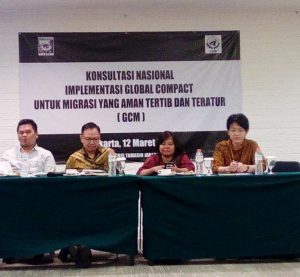 Those of us who work with returning migrant workers can appreciate first hand the toll these years of hard work take on these workers’ lives, on their families, and on their physical and emotional well-being. The profound dignity inherent in the work of migrant care-givers must be reflected in the way they are treated by the Israeli legislature, government and by Israelis. They too must be treated with human dignity and respect. They must be effectively protected from exploitation. They must be able to change employers and escape abusive situations without fearing detention and deportation. We call on you overturn this draconian bill, and to ensure migrant workers have the basic right to change employers. Domestic workers are worker and they must be treated as worker. Domestic Workers should not be deprived from equal rights as other workers. Status of migration should not be the criteria to discriminate human beings. Migrant Domestic workers and human being and worker and they deserve equal treatment. WOREC Nepal would like to support and sing the campaign initiated by KavlaOved. We urge Israel Government to overturn the bill and uphold the rights of all migrant workers including domestic workers and care givers. Classification and recruiting workers are a crime to Humanity, we are against the Bill proposed by The Israeli Government, we are with the protest Kav LaOved and migrant domestic workers in Israel ! Unlad Kabayan supports the struggle for the protection of the rights of migrant domestic workers in Israel. We sign this petition in solidarity with Kav La Oved, and civil society organizations defending and upholding the rights of migrants. Domestic Workers are Workers! We support your struggle for the rights of domestic workers! We are one with Kav LaOved in upholding the rights of domestic workers! 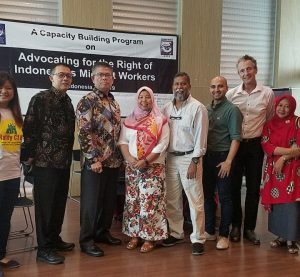 UNI Global Union-Malaysia fully support the campaign against exploitation of migrant domestic workers. I urge you to overturn the bill and uphold the human rights of domestic workers. Our solidarity from Europe on this important campaign to defend workers’ rights – especially those migrant workers who are particularly vulnerable to abuse. I am a member and the coordinator of TRUSTED Migrants based in the Netherlands- a transnational self-organisation of Migrant Domestic Workers. Many of us are working in the private household denied of our rights because our work is not recognize as a proper work neither a category of immigration therefore many of us are forced to become undocumented… Together with the RESPECT Network we campaign that an immigration status shall be put in place as MDWs to change our position in the Dutch society as well in the Europe and globally. We are in solidarity with KAVLAOVED to upheld the rights and dignity of the Migrant Domestic Workers working in Israel. POURAKHI-Nepal an organization of returnee women migrant workers would like to sign in this important signature campaign initiated by KavlaOved. We very much hope for the success of this campaign. Domestic work is not slavery! The only way to peace is peace.